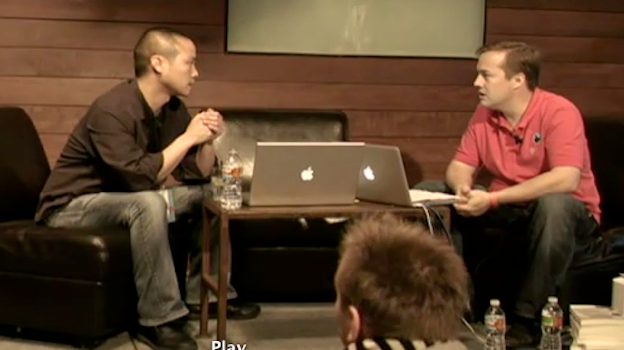 Jason’s guest this week was Tony Hsieh, CEO of Zappos and author of the soon to be released book Deliverying Happiness (June 7, 2010). Highlights of the show included 2 points of advice from Tony to entrepreneurs, a bunch of giveaways and multiple mini-guest segments. 00:19 Rob May, CEO of Backupify asks, How much focus should I place on competitors? o The IKANO team will provide up to one hour of strategy consulting to Startup via conference call. Jason or anyone from Mahalo/TWIST team can join if they would like. The startup can ask IKANO team for advise on any business related questions including social media, marketing, technology or general business questions and the IKANO team will provide insight and feedback. IKANO services and interacts with tens of thousands of business and can provide guidance based on our experience.